Matt has gone from an obscure actor to a Hollywood golden boy in just a few of years. He became an instant star when he co-wrote and starred in “Good Will Hunting” with his longtime friend, Ben Affleck. Matt won the Best Original Screenplay Oscar and it’s been a rocket ride ever since. 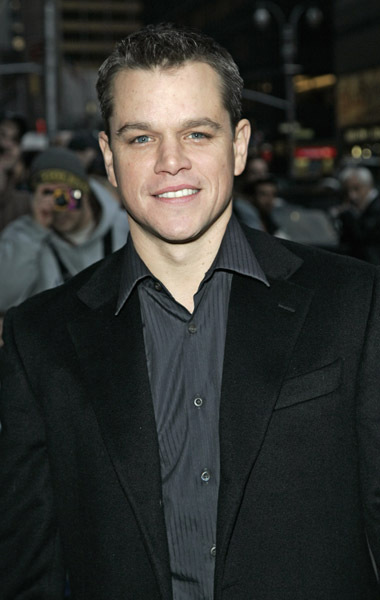 Matt Damon was born in the Cambridge area of Boston. Matt Damon has starred in a variety of hit Hollywood movies including The Talented Mr Ripley, Ocean’s Eleven, The Brother’s Grimm, and The Bourne Identity.